/ News / Dental tartar and how dangerous it is? Teeth are tireless toilers who have to work hard and constantly feel the attacks of invisible “enemies”. The enemy army at first looks quite innocent. A soft, almost invisible plaque of white color, constantly formed on the surface of the teeth, occurs as a result of the decomposition of organic substances and consists of dead cells of the epithelium, food residues and bacteria. Gradually, dental deposit accumulates and leads to a change in the pH of the medium in the oral cavity (from normal alkaline to acidic). Under the influence of acid in the dental enamel, microcracks are formed, which eventually turn into cavities – that is, a banal caries develops, the deplorable consequences of which are well known to everyone. Bacteria and their toxins have a harmful effect on surrounding tissues, begin to swell and bleed gums, loosen, ache and … drop out teeth. How to avoid such a tragic development of events and keep your teeth healthy for many years to come? The simplest and most affordable way to deal with the dental deposit is daily brushing of the teeth in the morning and in the evening. But if they are neglected (that is, brush your teeth when you want to, or do not brush at all), the dental deposit can turn into dental tartar. Accelerated dental tartar formation can be “helped” by metabolic disorders, poor chewing of food (for example, due to incorrect bite or unsuccessful prosthesis) and the lack of solid food in the diet. Saliva with a high content of salts also promotes the rapid formation of dental tartar. The tartar is first at the neck of the tooth. Increasing in size, the hardened plaque injures the gum and causes its chronic inflammation. Friable gums and subgingival pockets are an excellent infection incubator, and tartar, its carrier, penetrating very deeply – into the root part of the tooth. And in this case you can not do without the help of a dentist. Until recently, fossilized dental deposits were a big problem. The situation changed when a painless ultrasound method of removing dental “stones” was invented. 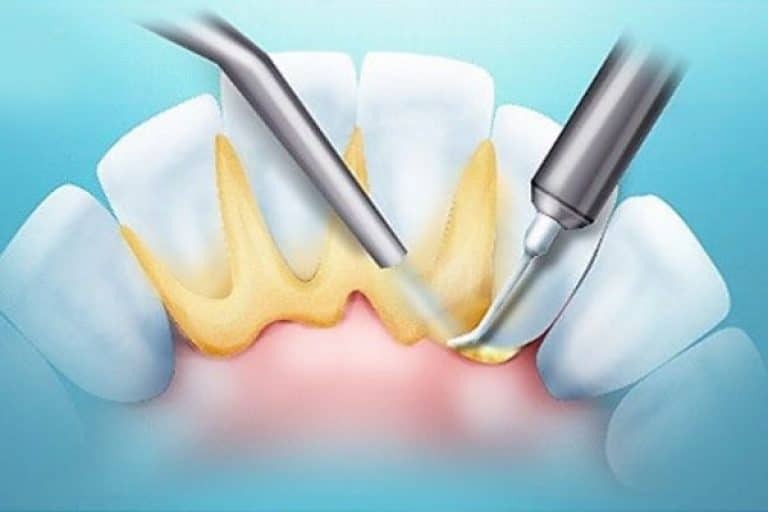 The essence of it is that, ultrasound crushes the dental tartar and the solution injected under pressure rinses the particles and disinfects the treated surfaces and surrounding tissues. 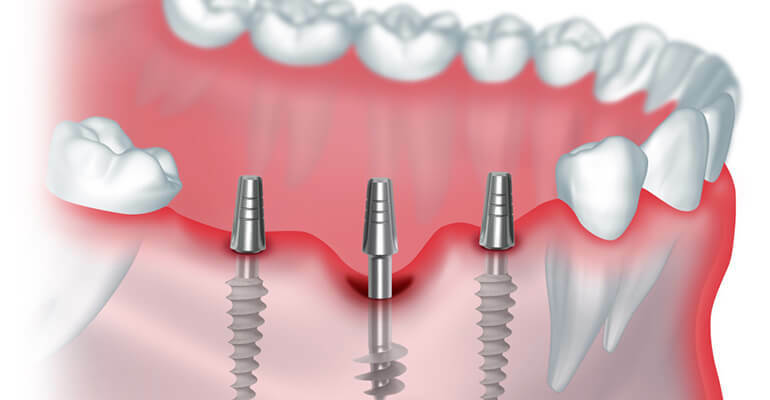 The procedure is carried out with the help of a special device – a scaler provided with various nozzles, which are selected depending on the shape of the tooth, the angle of inclination, etc. This is not just a hygienic procedure, but an effective prevention and treatment of gum disease, and it should be done once or twice a year. After removal of dental deposits often there is an increased sensitivity of the teeth. To prevent such unpleasant consequences in many clinics, remineralizing therapy and deep fluorination are carried out. And yet very, very many experience the insidiousness of gum disease – periodontitis. More than 60% of the adult population of industrial countries suffers from it. Parodontitis sneaks up imperceptibly, showing itself bleeding gums, first with a light but unpleasant odor from the mouth, exposing the roots of the teeth. Until recently, such a diagnosis sounded like a verdict, and very often ended with the removal of teeth. With the progression of periodontitis, a modern technique can be used – deep purification and treatment of the gums with the help of the “Vector” apparatus with subsequent strengthening of the dentition with the help of special invisible splint. 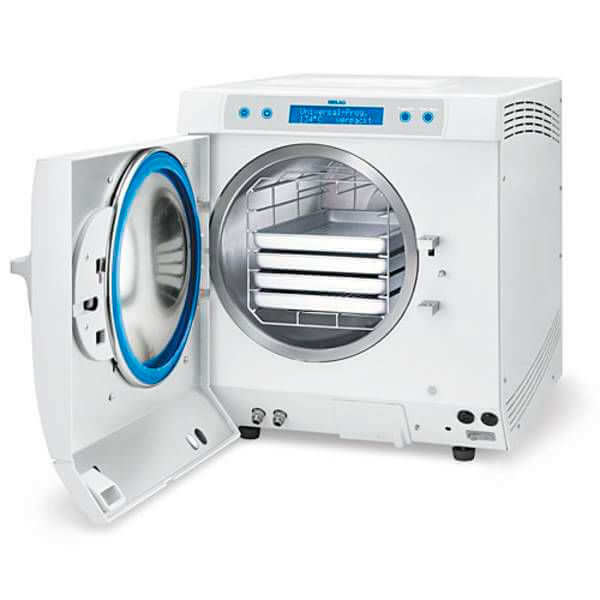 “Vector” – the newest device of German manufacture, which allows very deep purification of periodontal pockets from subgingival tartar and bacteria and literally sterilize them. After this, the number of microorganisms is minimized, rapid closing of the dentogingival pockets occurs, and a stable remission occurs. Careful attitude to your teeth it is a sign of good tone, education, civilization. At the same time, the possibilities of modern dentistry have significantly increased. In the overwhelming majority of cases, it is able to save a person from suffering and years of developing complexes from dissatisfaction with their teeth.